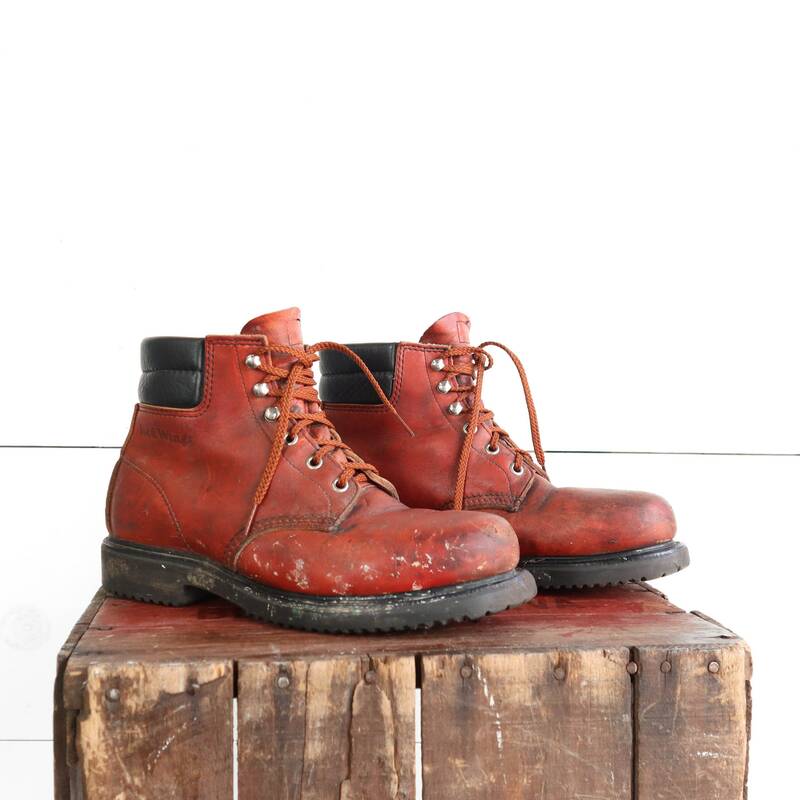 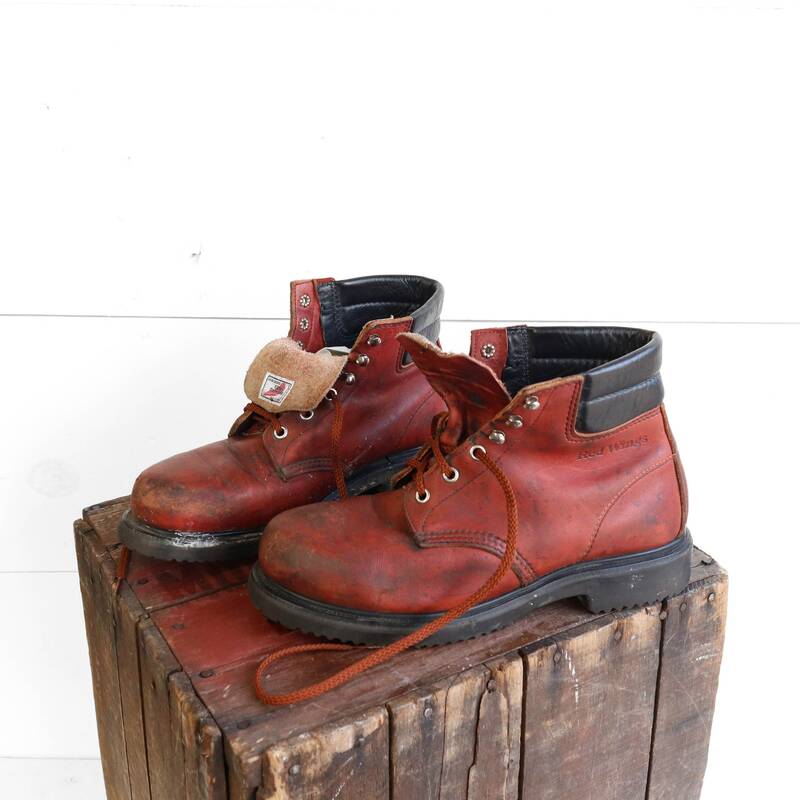 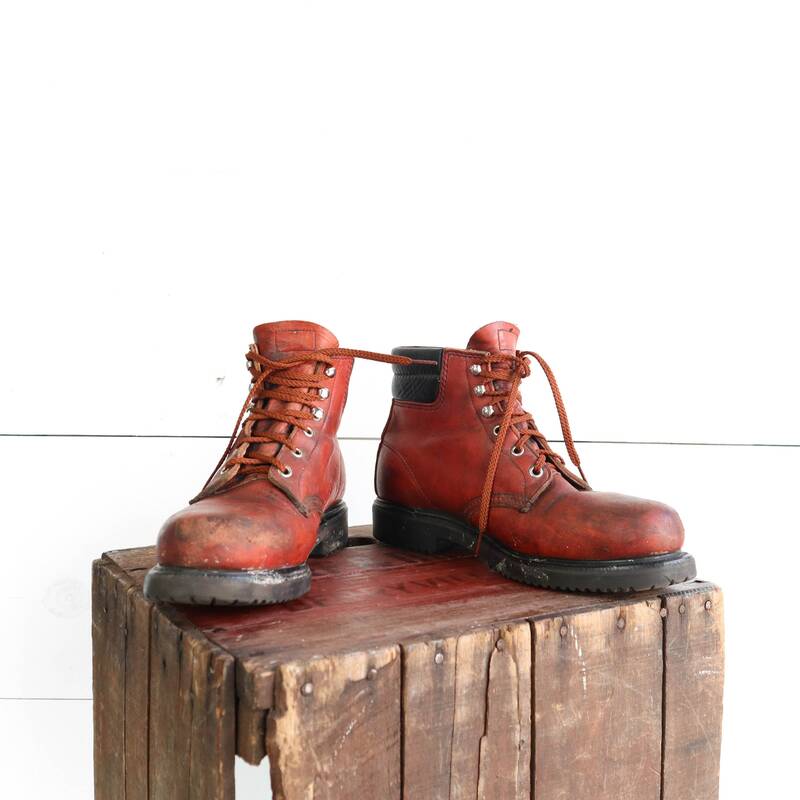 These vintage Red Wing boots have round steel toes and oil resistant soles. 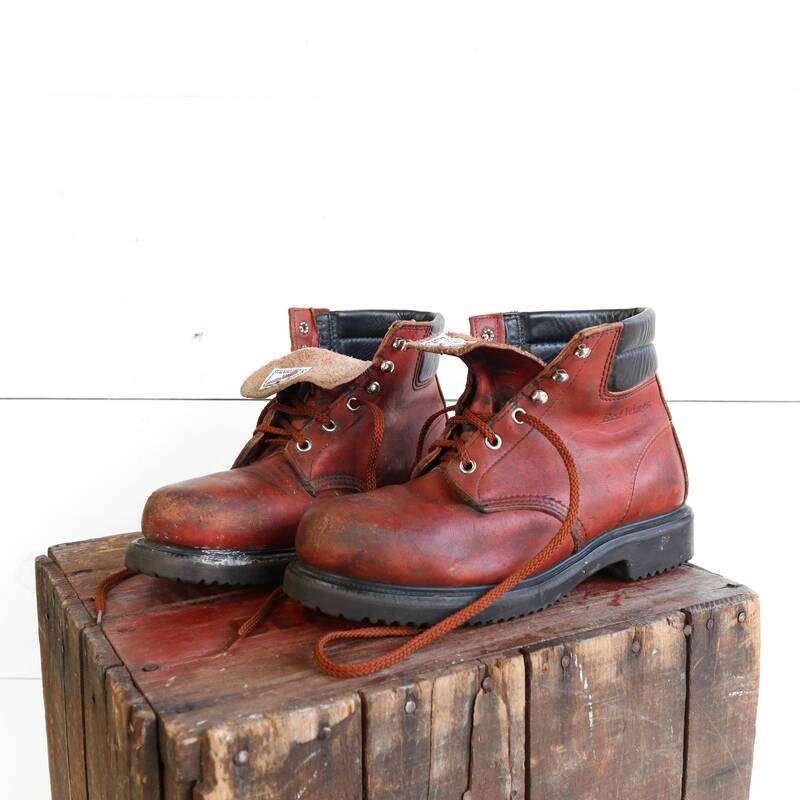 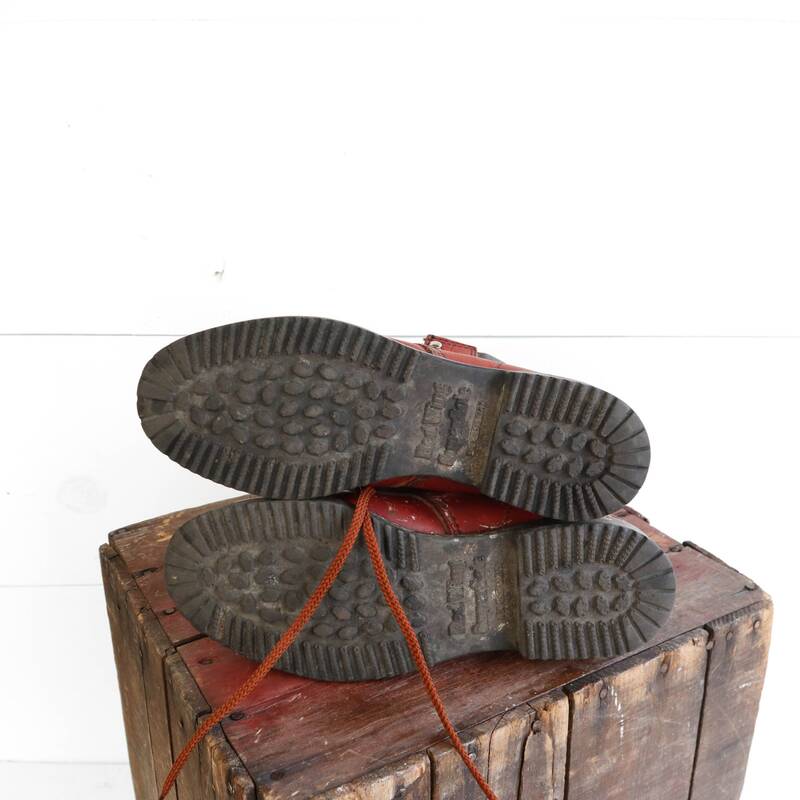 The boots are shorter styled Red Wings and lace up the front via a series of quick hooks. 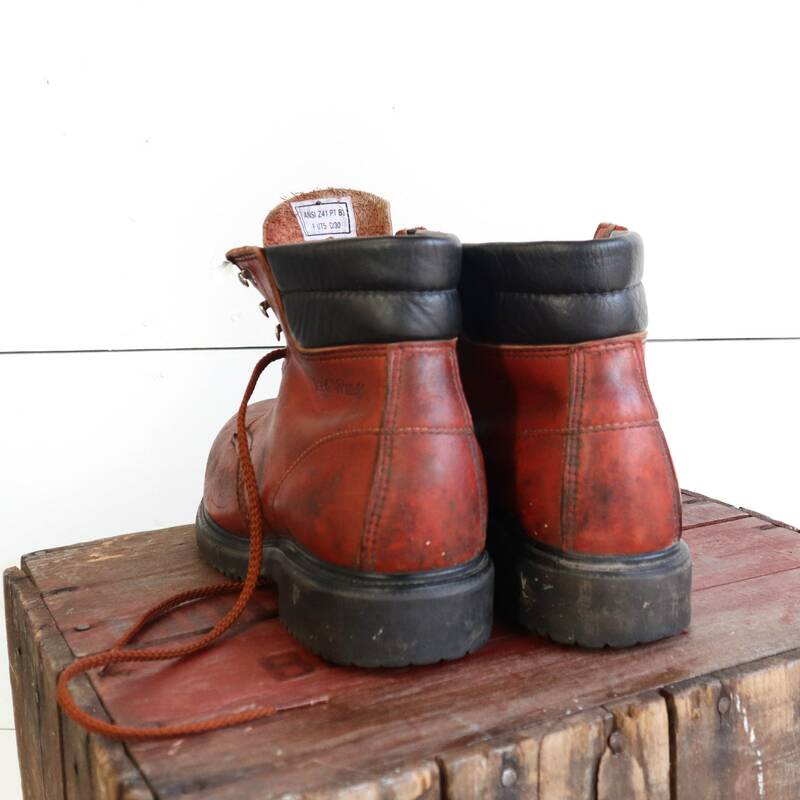 The boots have some wear and scuffs. 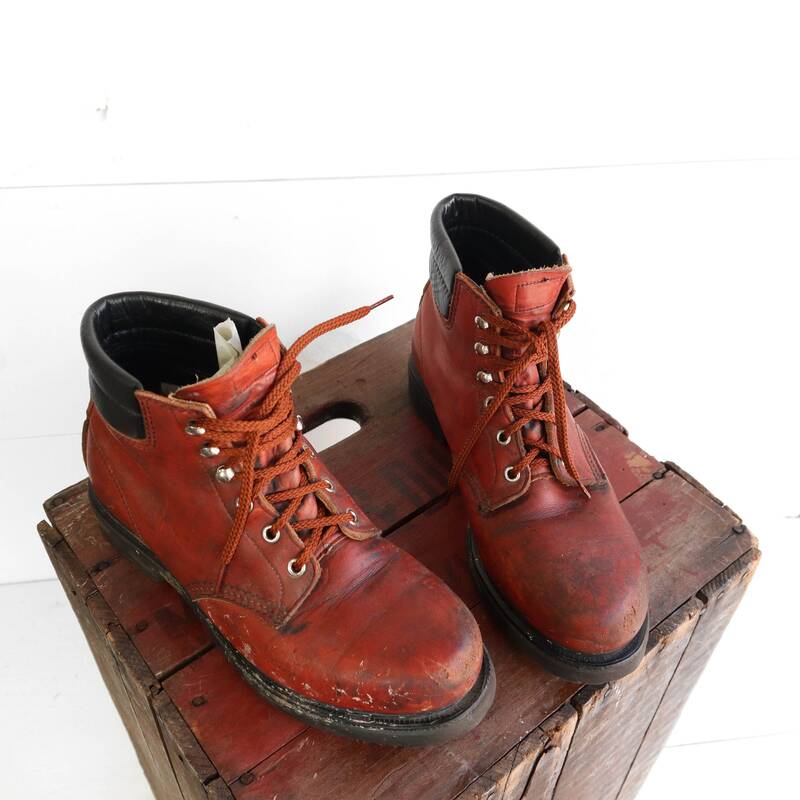 There are some paint splatters on the boots, but it only adds to their rugged look.